Back in the nineties, when someone comes to Bali you can safely assume that they will come back with a bunch of sarong in rainbow colors, Barong T-shirt, wooden accessories, and bamboo-made miniature of surfing board. Out from the traditional ethics, there is a time when Bintang singlets sits as the favorite shopping list. The trend, nowadays, has rapidly changed. Heavily associated with its beach life, Bali has drawn designers from all countries to open their shops and introduce uber chic international street wear to compliment the Island’s laid back lifestyle. Local designers has quickly adapt this kind of fashion, and now this easy, sophisticated style has become the norm. Observing from the most popular street fashion we’ve seen, here’s 5 fashion item in Bali that’s raising popularity. The hip is everywhere! Start form mid 2017, round rattan bag made its entrance traveller’s street style. Sometimes called as basket bag, this woven rattan container comes in round shape (the most popular one), square, and even cylinder. 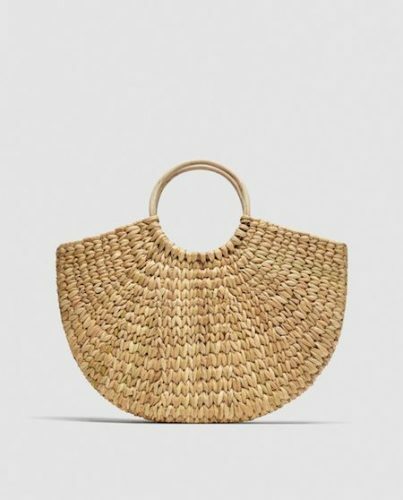 They are available mostly at local street market, hanging in all shapes and sizes, but today posh designers have starts their own version of rattan bag. Bringing out instant holiday mood at anywhere the carrier stands, this rattan bag is iconic to modern beach style. Tassels to laid back living is like fruits to your salad. It create an instant fun atmosphere, especially when you are heading of to sunny paradise. Tassels are highly versatile; they are everywhere from earrings, necklace, to sun dresses and tunic. Considerably popular during the ‘70s, tassels are making a huge comeback these years. It’s still a favorite among holiday goers which instantly pop up playful images. Even as simply as adorning your rattan bag with few tassels can make up the whole look. From Boho to preppier style, tassels is the ultimate way to strengthen laid back style. To complete a perfect beach style, colorful flat sandals is a must. Even better when your sandals features cute fringes that will move playfully as you walk along the streets. They are perfect for a foot-selfie-over-the-beach, too! Sandals and flip flops are perfect for walking in long distance and provide enough air flow to your feet. For those comforts, sandals will never go out of style. Don’t be afraid to choose sandals with elaborate, colorful decoration; the more, the merrier! The sunny day won’t be complete without a bright, flowing sundresses. If fabulous sun dresses used to be limited to designers shops, now you can find the cheaper one—at local art markets. Sun dresses are usually made from cotton and linens to keep your body off the heat. For more extra protection, choose brightly colored or white sundresses that will reflect the sunlight. Jumping in popularity, almost any clothing shops down in Seminyak, Kuta, and Canggu are selling playful jumpsuit in various colors. Jumpsuit is ridiculously cute with its tropical patterns, turning their wearers to be effortlessly chic babes. Lightweight and highly versatile, jumpsuit can easily be on the go from leisure walk on the beach to fancy dinner at limestone cliff restaurant.